Let your child get to know all about the animals and their sounds with the Fisher-Price Little People Zoo Talkers Animal Sounds Zoo. 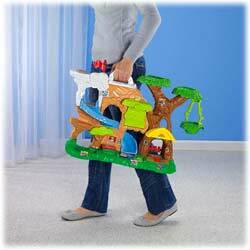 Built to look like a friendly zoo, this durable plastic play-set features a handy carrying handle that will help your child tote around a fun zoo habitat for their new animal pals. This play-set recognizes each of the animals when you place them in the hut, and it says their name aloud and shows your child what kind of sounds they make. 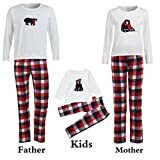 This set recognizes dozens of animals, but only includes the gorilla, polar bear and lion. All the animals can be tucked neatly into the cave for storage or travel. Dimensions: 14W x 25D x 12H in. Recommended ages 18 months-5 years. About Fisher-Price As the most trusted name in quality toys, Fisher-Price has been helping to make childhood special for generations of kids. While they're still loved for their classics, their employees' talent, energy and ideas have helped them keep pace with the interests and needs of today's families. Now they add innovative learning toys, toys based on popular preschool characters, award-winning baby gear, and numerous licensed children's products to the list of Fisher-Price favorites. Dimensions: 14W x 25D x 12H in.. Recommended ages 18 months-5 years. Durable plastic body with slide and a swing. Includes a gorilla, polar bear, and lion. 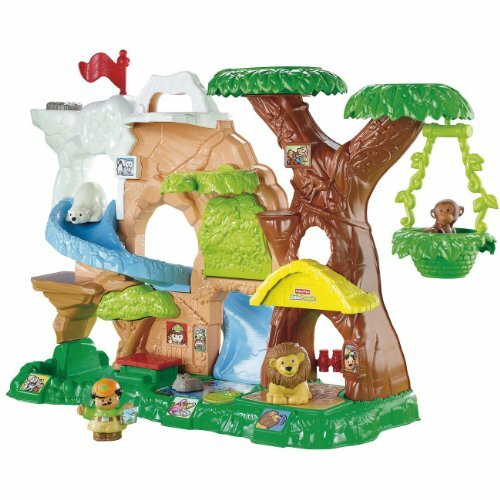 Zoo-themed playset with hours of wild-animal fun. Says animal names and makes realistic sounds. Carrying handle and storage for all the animals. Learn how to recognize animals through sight and sound. View larger. Built-in handle makes the set easy to transport. View larger. The Animal Sounds Zoo includes a polar bear, a lion, and a gorilla to begin zoo play. Press each animal to the red paw pad at the set's base to hear its name, and press it again to hear the sound it makes. This process will teach your child to recognize an animal through its name, the way the animal looks, and the sound it makes. Then, children can match each animal to its habitat. 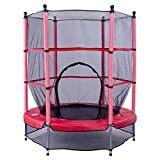 This set includes polar regions, grasslands, jungle, and water environments that are suitable for the included animals and can also accommodate other animals (sold separately). 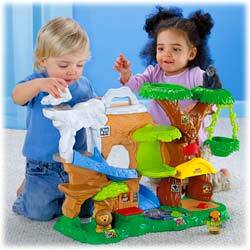 Children can also play with the animals on the variety of surfaces the set includes. Go down slides, tilt off teeter-totters, swing on the canopy swing, or pop through the peek-a-boo in a mobile terrain filled with surprises. There are also more sounds to discover, including the squeaking nest on the polar bridge, the lily pad that activates the hippo, and the ticket booth where Zookeeper Zack makes announcements. You can even watch the animals on the included Discovering ZooTalkers DVD and decorate the set with the included stickers! This set requires adult assembly, as some of the pieces screw into place. Our testers were pleased that most of the set was able to easily snap in place, and with the included directions, the process was straightforward and clear. The set even comes with a handle on top so you can transport it around later with ease. Zookeeper Zack figure, gorilla figure, polar bear figure, lion figure, zoo set pieces, three screws, and instructions.